Specifically CVE-2018-8778, a buffer under-read vulnerability in String#unpack. This post goes deep on what it all means, how it can be exploited, and how it’s resolved. 10 points on the development of Ruby from a recent interview with Matz at the Ruby25 event. 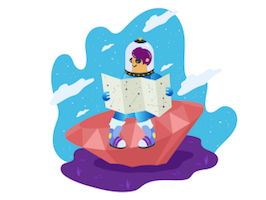 Ruby 3 will be backward compatible, and Matz plans to ‘never retire from developing Ruby’. Tired of fragile code? This hands-on book will teach you how to build better Rails apps with confidence. Learn practical BDD from the makers of Semaphore. Aims to be a one-stop-shop for resizing and processing images. Uses either ImageMagick or libvips behind the scenes. Rails Ruby Bench: What Is It and Why Should You Care? It uses Discourse, a real-world Rails forum app, and a simulated realistic workload to benchmark the speed of Ruby. People are finding more use cases for the new yield_self function in Ruby 2.5, but maybe a better name could drive adoption? By nesting cache fragments, views are almost never rendered completely. Even when the data changes, most of the rendered pages are served straight from the cache. The deprecation of Ruby Sass has begun, though Sass itself will live on. These are minor, fix-oriented releases. Choose between 1-3vCPUs and 1-3GB RAM with 60 GB SSD for only $15/month. Monitoring and alerts included. The bad, the good, and the (almost) great when it comes to error handling in four different Ruby SDKs. Covers hashes, proof-of-work, and validating the blockchain. Only 13 minutes but many Active Record users will pick up some ideas from this. Supports ‘views’ for defining multiple representations of an object. It’s been around for years but continues to get frequent updates. Michael Bleigh, Intridea et al.